Police have set up a crime scene at the Calliope Caravan Park. 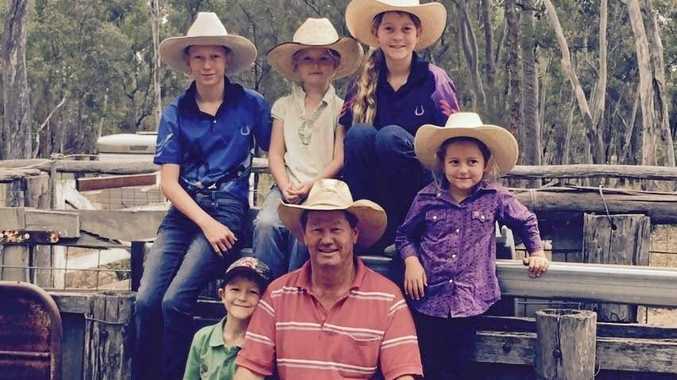 Police have arrested a man and seized a weapon after a man and a woman in their 60s were slain at a Queensland caravan park. Officers called to Calliope Caravan Park on Thursday afternoon found a 63-year- ld man with severe head injuries lying outside his caravan. He was taken to hospital but could not be saved. A woman, 60, was found dead inside her caravan. Detectives are questioning a 64-year-old man over the killings, but no charges have yet been laid. The two victims were known to each other, but it's unclear if they knew their attacker. Police have seized a weapon. It's not a gun, but officers have not said what it is. Detective Inspector Darrin Shadlow believes the pair was attacked between 3.30pm and 4.40pm on Thursday. "We are appealing for anyone who may have noticed or heard something or seen anyone suspicious .... to contact us," he said. 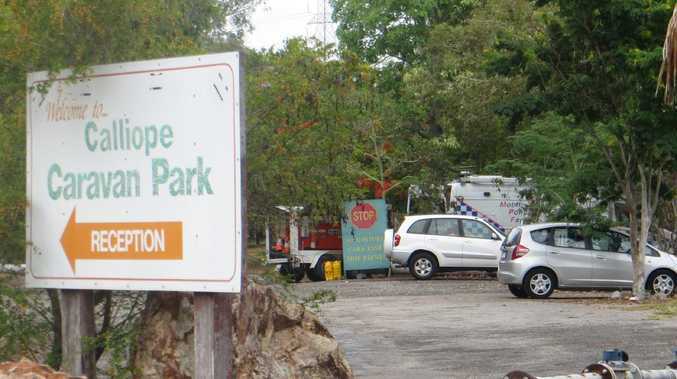 Police will spend Friday interviewing residents of the van park south of Gladstone, as forensic specialists gather evidence at the two caravans where the victims were attacked. Officers are due to update the media on the case at 1pm.